The differentiator of the Ingelix™ Solution is its ability to monitor the critical balance of high performing employee behaviors and skills while adjusting your hiring requirements to ensure a well-balanced workplace. The differentiator of the Ingelix™ Solution is its ability to monitor the critical balance of employee behaviors and skills while adjusting your hiring requirements based on your immediate needs to ensure a well-balanced, high performing workplace. 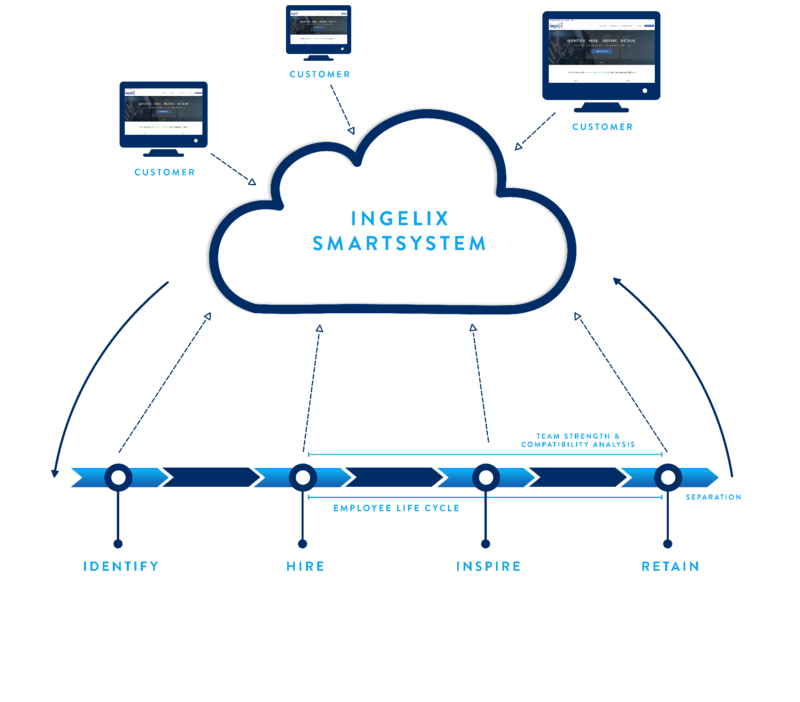 Ingelix™ has the ability to seamlessly monitor those employees who leave your work environment monitoring what critical skills and behaviors they are taking with them. We then can alert you as to what your future hiring needs should be in replacing these skills and behaviors. This adaptation process is unique to Ingelix™ and is a method of data automation that allows us to identify insights and trends within a workplace environment without human intervention. Ingelix™ then adapts your future hiring requirements based your your immediate needs as a result of the exit of certain skills and behaviors. The overall goal is to maintain a workplace balance of your organizations most valuable asset… your people! The Science behind the Ingelix™ adaptation process using Assessment Technology is displayed below.